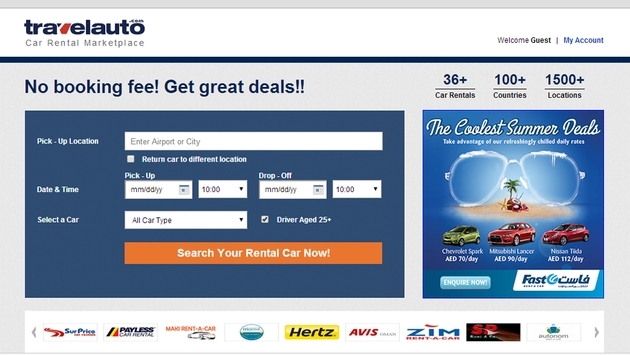 Travelauto.com Continues Expansion Into The U.S.
One of the top online car rental portals, Middle East-based Travelauto.com, continues its expansion into the United States as it announced this morning an agreement with Phoenix, Ariz.-based Fox Rent a Car. With Fox Rent a Car on board with SIXT Worldwide, Travelauto now offers booking support at locations at San Jose Airport, San Diego Airport, Las Vegas Airport, Seattle Airport, Miami Airport, Ontario Airport, Los Angeles Airport, San Francisco airport, and Salt Lake City, to name a few. Travelers can pre-book their car rental at fair market prices from Travelauto.com online. “We are still striving to provide best and the better for our customers worldwide. With the two major car rental companies SIXT Worldwide and Fox Rent a Car, we have covered most of the regions. Soon we would be live with a few other major car rental giant in a month’s time, allowing our customers to choose their preferred car rental service provider in the United States,” Chandra Moulli, CEO of Travelauto.com, said in a statement. Travelauto.com confirms rental cars prior to arrival, providing ample turn-around time. Since its inception a year ago, Travelauto has been provided car rental services in more than 2,500 locations worldwide, and has become one of the preferred car rentals booking portals in the Middle East.